can give you peace of mind when you Get it in Writing! 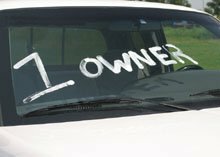 Can you write your own bill of sale for a car? Sure you can! Millions of people advertise their vehicles for sale privately and therefore millions of people buy vehicles privately. It's easy and straightforward - we've compiled a variety of free used car bill of sale templates and related legal forms to assist you with your documentation. We also provide practical tips for both seller and buyer on what to look out for to ensure a safe and satisfying transaction. The private sale of a motor vehicle (boat, motorcycle, trailer etc.) can benefit both seller and buyer financially since the mark-up or profit of a formal dealer will not be a factor and with you Free Automobile Bill of Sale the agreement can be legally formalized. Selling your used vehicle to a dealer will make sense though if you use it as a negotiating tool (and you are a tough negotiator, right?) on another new or used vehicle that you buy from the same dealer, i.e. a trade-in. Promissory Notes - Guidelines and a variety of loan agreements e.g. secured loans etc. Do You Need a Bill of Sale to Sell a Car? In some states or countries you are required by law to have an automible bill of sale for tax purposes. In other jurisdictions you can transfer ownership solely by completing and signing the applicable official forms to transfer title. However! Our printable automobile bill of sale go beyond just simply stating the amount the vehicle was sold for. It is a legally binding contract that spells out the terms and conditions of the transaction such as the warranties, transfer of risk, disclaimer etc. Even amongst family members or friends it is wise to have an agreement in writing. 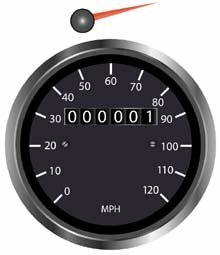 The odometer reading - about 24 000 km per year is normal. Does it have a full service history or maintenance records - and proof of this! ASK: "Has it ever been in a car accident!" What is the condition of the tyres (an expensive item to replace). What is the overall condition of the exterior (windscreen, scratches, dents, lights etc.). What is the overall condition of the interior (seats, radio & speakers, carpets etc.). Are there any monies outstanding with car loan companies. Does the seller have a free automobile bill of sale / car sales agreement, otherwise you can download it from this site and supply it. Find out if your state or country requires a odometer disclosure statement (see link above) and whether it must be a separate document or printed on the back of the title. Choose a safe place - either the sellers' or your own home, a populated public area or if you have a friend in the auto industry, ask to look at it at their premises. Do this in BROAD DAYLIGHT. Take a friend with - somebody who knows about cars - to help you (four eyes and two minds). Take your digital camera or cell phone with camera and take photos of the car AND OWNER (why not - if he is a dodgy character he might find an excuse to leave). Ask for a copy of the registration document and compare all the numbers with the actual numbers on the car - VIN, registration, engine number etc. Finding a car with a perfect body is great but not that common in a used vehicle. If it has small paint chips or fine cracks in the wind screen, it may be a good sign, showing that the car might not have been in a major accident after which panels had to have been replaced. Too big patches of peeling paint though could be a sign of serious rust, especially in coastal towns. Misaligned panels or the paint on different panels not matching properly. Check for tell-tale signs of over spraying. Look in the hard to mask-off areas such as the hinge area of the doors, the window rubbers, the wires in the engine or inside the wheel arches. Check the wear on the tyres - if it is uneven the shock absorbers may be worn or the suspension is not aligned. 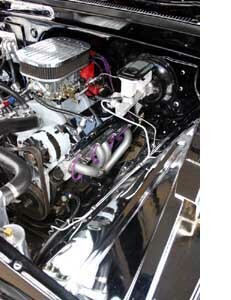 Check for paint runs inside the bonnet or trunk (boot) and a magnet can point out usage of body putty. The odometer / speedometer warrants special scrutiny. Check for any scratch marks, whether the screws have been tampered with or whether any of the digits are skew or scratched. They could all be warning signs that the odometer has been turned back. Compare the odometer reading against that on the oil change sticker - does it tally? Make sure that the odometer reading is entered correctly on your bill of sale. Is the air conditioner functioning properly. Check all electrically operated windows, side mirrors, rear window de-misters etc. Does the aerial emerge (if needed) when you turn on the radio. The condition of the upholstery and carpets should tell you a lot about how well the car was looked after. You can expect some wear and tear where the driver's shoes scuffed the carpet or foot pedals - that should be consistent with the age of the car. If the engine is dirty and there is white residue around the car battery terminals, chances are that the engine has not been well maintained and looked after. Check the oil - if it is dark and thick it suggests the owner did not change the oil frequently and show a lack of good maintenance. If puddles of oil form under the car it is another warning signal. Listen for knocking or rumbling noises when you start the car. Rev the engine with the gears in neutral. If you see thick blue smoke from the exhaust it is a big warning sign that the oil is bypassing the pistons which is expensive to repair - walk away. Keep your eyes on the gauges and check for overheating. The car should not list when you go around corners and should straighten by itself. Check if the car holds its line when you apply the brakes. When in doubt ... throw it out! There are plenty more to choose from. Negotiate - the seller probably listed it a bit higher, expecting some bargaining. Check if this really is a private sale (formalize it with your Free Automobile Bill of Sale) and not a dealer masquerading as one. Don't be pressurized into making a quick decision by the seller - "somebody else is very interested". Remember: 'buy in haste, repent at leisure' can especially apply to used vehicles. Get car insurance quotes and make sure you have car insurance in place before taking delivery of your car. You are about to spend quite a lot of money on the purchase. Why not spend a fraction more and pay for a mechanical check from reputable organizations offering this service. 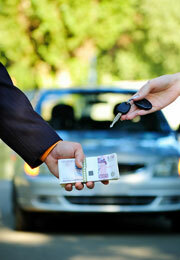 If the seller does not provide it, download your Free Car Sales Agreement and Get it in Writing! Since you are selling your car for quite a lot of money, have the car screened by any of the reputable organizations listed and offer this as an added benefit for your car. When taking a prospective buyer for a test drive, take a friend with as an added safety measure. Do not take the original registrations documents to the first meeting. Spend a bit of money and have a full valet done - first impressions count! Fix or polish where you can - a bit of elbow grease will be worth your while. Ask whether the buyer has auto finance in place (and obviously do not hand over the car till all monies have been received. Go armed with your Automobile Bill of Sale and Get it in Writing! Your free automobile bill of sale / used car bill of sale and free odometer disclosure statement can be copied into any word program at No Cost, where you can edit it to suit your requirements.